my phones bluetooth is not workin well.. im able to receive files but not send them... cud sumone help me out pls? AnonD-36530, 01 Aug 2012go to setting>resat factory setting and now log in its working @ Nepal it may be network problem. You should retry . 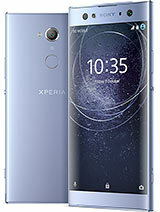 how I can use wifi in xperia x8 ? zen, 18 Aug 2012How do I tranfer music to my playlist..?? ?Hai.when u go to file manager then go to music files and select all songs in the options. can any one help me..whch is bettr than..
and plz tell its price..
How do I tranfer music to my playlist..??? AnonD-67329, 18 Aug 2012How can I upgrade my x8 without computerWithout computer you can update ----setting>about phone>update software. Although there is no official upgrade plan for froyo or gingerbread in X8 except custom . the phone is really good but,the problem is everything you do goes to the internal memory. Anonymous, 15 Aug 2012Its been a year since i use Xperia X8. This phone quiet simple. The problem occur when i use... moreyou are use a best sony phone.if you have android 2.1.1.0.6 then u upgrade ur phone up to 2.3.7/ics by the process of rooting ur phone.if u interest then u mail me at dbrahma4@gmail.com/or u can search in you tube.how to root and upgrade ur phone.i am use ics 4.0.0 now. Its been a year since i use Xperia X8. The problem occur when i use this phone is no multitouch, small size of internal memory, and whatever apps u download, its will be automatically located in internal/phone memory and u cannot move it to SD card. And battery also weak, cannot last longer. For sure this phone not perfect, suitable with its economic price.